If you are looking for a way to infuse fresh herby deliciousness into a dish, you have found it. We start with fresh hand picked basil, sage, parsley and add just enough herbes de Provence and extra virgin olive oil. This recipe is all about the herbs, so it does not contain cheese, garlic or nuts, great for vegan and other restricted diets. 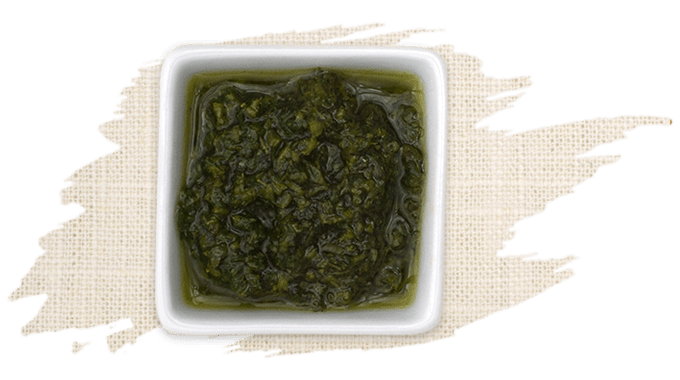 Pistou is actually a French pesto, we added herbes de Provence for a more complex herb flavor and offer an easy way to add garden freshness to sauces and stocks and finished dishes.